WASHINGTON — Lawmakers and veterans advocates are demanding more details of a secret White House plan to merge parts of the Department of Veterans Affairs and the military’s Tricare health system in an effort to trim billions in federal medical bills. But VA Secretary David Shulkin insists there is no underhanded effort to sneak through major reforms, and that the work thus far amounts to brainstorming about ways to make veterans care more efficient. At issue is a proposal, first made public by the Associated Press Friday, that would combine aspects of the Veterans Health Administration and Tricare, the military’s health care program for troops, families and retirees. Specifics of the plans are unclear, but White House officials have discussed establishing a single purchased-care contract for the two different systems, sharing some military and VA facilities and linking the hiring of medical professionals in both systems. The moves could potentially save up to $2 billion annually, largely through cuts in the federal workforce. Actual program changes would not start before 2023. Those details are spelled out in a series of White House memos that caught lawmakers and veterans groups unaware this week. Shulkin said his department has been involved in some conversations on the issue but did not draft the documents. The surprises prompted House Veterans’ Affairs Committee ranking member Tim Walz, D-Minnesota, on Friday to send a letter to President Donald Trump demanding more information on the possible merged services, notes from any meetings on the issue and an explanation for the lack of transparency. “A proposal as significant as merging TRICARE and the Veterans Choice Program should be fully transparent to the public,” he wrote. “It should be the subject of congressional hearings, and should include the input of veterans, military families, and retirees who would be affected. The plan would intermix the medical needs of two different patient pools. The Tricare system currently serves about 9.4 million beneficiaries, including the primary health care needs for all active-duty troops and their families. The Department of Veterans Affairs system has roughly 9 million patients, too, but is largely focused on an older population dealing with service-connected illnesses. VA officials in recent months have talked about moving away from some primary care responsibilities in favor of increasing funds for more specialized services. Such moves would involve billions of dollars in upgrades and operational changes to the two massive health care systems, work that would have to be approved and funded by lawmakers. Shulkin said any such decisions are years away, and the internal conversations on the issue thus far have been “beyond preliminary.” He said lawmakers and veterans groups have not been brought into the conversation yet because department officials are still gathering information and are not pursuing any specific recommendations. “We’re not taking early ideas outside the walls of our organization until we have enough to know whether we really want to explore it,” he said. Memos on the topic show several meetings among White House staffers on the issue, and plans to make the idea a major topic of the December VA/DoD Health Executive Committee meeting. Republicans on Capitol Hill said they have not been part of the conversation thus far. “The only (health care) proposal Chairman (Phil) Roe has seen from the administration is VA’s CARE proposal, which was reviewed at our legislative hearing alongside the chairman’s community care proposal,” said Tiffany McGuffee Haverly, a spokeswoman for the House Veterans’ Affairs Committee chairman. Veterans groups met with White House officials on Friday and expressed frustration that they have been left in the dark on the proposal. AMVETS Executive Director Joe Chenelly said he has “deep concerns” over this plan and how the discussion has been handled. “Several alarming ideas have become public this year before they were even mentioned to the veterans service organizations,” he said. “We believe that the administration wants to do what is best for veterans, but some of these ideas negatively impacted veterans. Earlier this year, White House officials were criticized for holding several meetings on veterans issues with health care executives and interested parties before meeting with veterans groups. 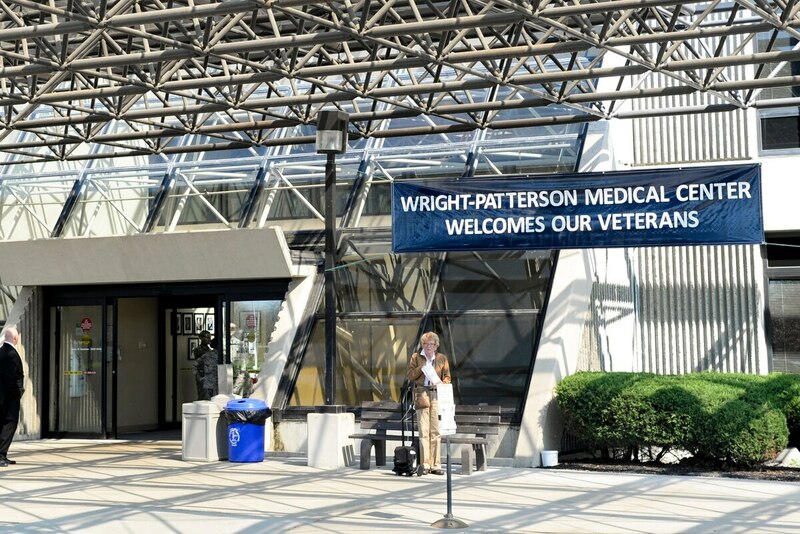 The new private meetings come as VA officials are working with lawmakers on potentially sweeping changes in how the department handles veterans medical appointments both inside and outside the federal system. That debate, which could send billions in new spending to private-sector doctors for veterans care, has lead to accusations from critics of the administration that they’re working to privatize the veterans care system instead of repairing its shortcomings. Roe and other House lawmakers have offered a new community care bill that would provide more options for veterans to seek private-sector care but still leave VA doctors as the primary medical manager for those patients. VA leaders, including Shulkin, have proposed going even further, allowing veterans to pursue some walk-in appointments without prior approval but still at taxpayer expense. Critics say the secret Tricare/VA meetings are an indication that their concerns about the Trump administration dismantling veterans health care services are well-founded. “The plan to merge the VA with Tricare represents the first step on the path to total privatization of the VHA,” said Suzanne Gordon, a health care advocate who has written a book on the department’s medical system. “It will turn a healthcare plan that delivers integrated services to veterans into an insurance plan that pays for care that the private sector delivers. The department needs about $800 million by the end of the year to keep an ambitious records system change on track. Shulkin said the issue of looming veterans community care reforms and sharing services with Tricare are not connected. He said administration officials have worked to foster an environment of open ideas, and encouraged looking across agencies to find efficiencies and better performance procedures. He said the Tricare discussions grew naturally out of plans earlier this summer to adopt the same electronic medical records system as the Department of Defense, a process that’s expected to take almost a decade. He also compared it to discussions behind-the-scenes with Department of Health and Human Services officials on handling opioid addiction. “If there are efforts where we could do things better, we want to look at all those ideas and the potential synergies,” he said.